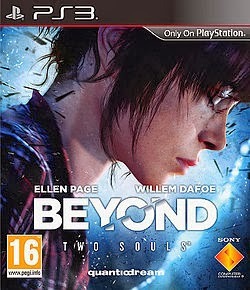 Beyond: Two Souls is the first game from developer QuanticDream since the critically acclaimed Heavy Rain. The 2010 release is certainly a hard act to follow, but with some big name actors handed starring roles, they certainly weren’t pulling any punches. 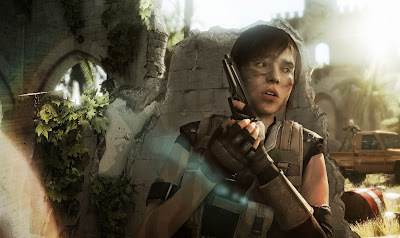 The game stars Ellen Page as Jodie Holmes, a young woman with a psychic link to an invisible entity called Aiden, who is tethered to her very being, for better or worse. The story jumps between different parts of her life, detailing her early childhood to her early adult years. It's an ambitious project, with some huge names, but is it worth your time and money? Read on to find out. Jodie's life is one of many hardships, suffering social isolation and constant manipulation from those she trusts. Even her relationship with Aiden fluctuates greatly as she ages, with Jodie finding him a great help, or equally as often, a giant burden. As you experience these events with her, a strong connection to the character is built, and you feel empathy with every new setback or success she has. The supporting cast is headlined by Willem Dafoe as Dr Nathan Dawkins, who looks out for Jodie throughout her life. He isn’t the only person in Jodie’s life, and the other people around her play equally important parts in her tale. Each of the main characters is well developed, however the more briefly met minor parts often lack believability in their lines, either through poor delivery or cliché script writing. These instances are fairly infrequent however and take little away from the overall experience. The story in general seems a lot more linear than that of Heavy Rain’s, but this isn’t really to its detriment. Scenes still play out differently depending on your choices, and there are a number of endings available to the player, but they aren’t really affected too much by choices made during the course of the game. 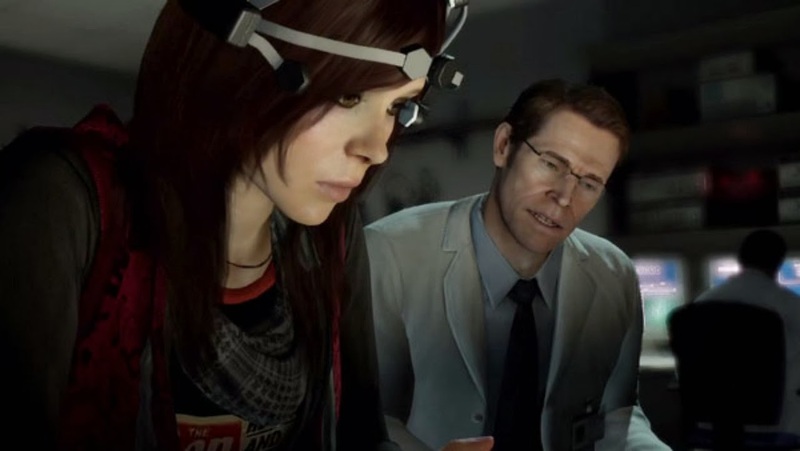 The gameplay is very similar to that of Heavy Rain, with most of Jodie’s actions controlled through a series of quick time events. During high paced action scenes, the game slows down while the player is tasked with dictating her movements through the analogue stick, telling her to duck and dive in the correct direction. It can often be hard to tell which way you are meant to be going, but thankfully you are given a decent amount of leeway to take damage and keep on going with the scene. In other scenes you control Jodie’s movement in the world, which can be very clunky with a fairly unresponsive camera. In most instances, this is just frustrating, not fatal to the character, but in a couple of slightly out of place stealth scenes, this can become a massive hindrance. Jodie’s invisible partner Aiden can switched to at pretty much any time during the game, and is often required to complete puzzles and tasks to aid Jodie’s progress. Aiden can float and pass through walls, which can make movement hard to control at first, but after a few attempts it becomes much easier. Aiden's interactions with the world come down to analogue stick movements, generally used to move and interact with objects, or take out a patrolling guard. This is very simple to do, but sometimes the game doesn’t seem to register the stick’s positions correctly, forcing you to reset them and try again. Aiden runs the risk of being a Deus Ex Machina, but to its credit, the game stops this from being true. It does however ruin the consistency of the story at times. Against one guard, Aiden can easily pacify him, but at the next encounter, the best he can do is move some barrels to distract him. This inconsistency can be frustrating, but is easy to forgive as it stops the game from being too easy. Visually, the game is fantastic. Each of the environments is beautifully designed, with areas ranging from high tech facilities, to barren desert wastelands, to blizzard struck cities. Characters look and act like real people, no doubt down to the motion capture used in development. Both Ellen Page and Willem Dafoe’s characters look almost identical to their real life counter-parts, even at the varying ages in the game. Jodie as a child still bears a striking resemblance to her future self. Beyond: Two Souls is a more than worthy follow up to Heavy Rain, helped in no uncertain way by great performances from the two headline cast members. It certainly isn’t as action packed as some of the big blockbuster games that dominate the market these days, but in terms of characters and story, it has to be one of the leading lights.